Under the authority of his master Karma Thinley Rinpoche, Lama Jampa Thaye has established numerous Buddhist centres in the UK, Europe and the Americas. In 1975 on Rinpoche's direction he established Kampo Gangra Kagyu Ling, the first Buddhist centre in Manchester, in the Northwest of England, and in 1977 he established Sakya Thinley Rinchen Ling, the first Sakya Buddhist centre in the United Kingdom. 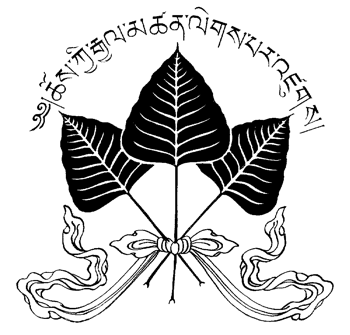 Since that time numerous Buddhist centres and groups have been established across the world to make the Sakya and Kagyu lineages of Buddha dharma available to everyone. dechen.org - the principal website for centres and groups in the United Kingdom. dechen.us - the principal website for centres and groups in the United States. dechen.org.mx - the principal website for centres and groups in Mexico. dechen-sakya.de - the principal website for centres and groups in Germany. dechen.org/centres/sakyachanglochenlingfrance - website for the Dechen retreat centre in France.